Enjoy every tap and personalize your keyboard! Are you bored with plain android keyboard? We offer the personalized and customized keyboard, from emoticons, theme, font to key tone, etc. 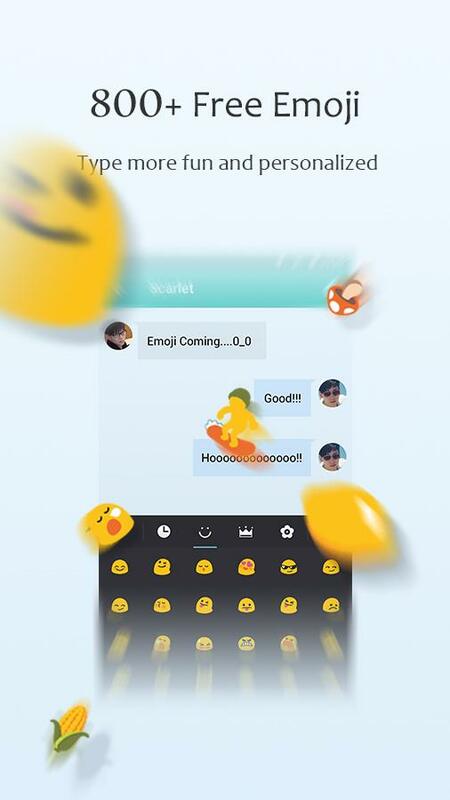 GO Keyboard Emoji, Emoticons Free delivers smart auto-correction and a user-friendly interface. It supports 60+ languages and thousands of themes. The symbols and emoticons in the keyboard are compatible across all popular apps, like Facebook, mail, messenger, Hotmail and Whatsapp etc. Turn plain text into cute emoji and emoticons! Communicate with your emoji icons and emotions such as ( ^ω^) ! Emojis and emoticons speak 1000 times louder than words! Easy to find emoji and emoticons from keyboard area just by one click. It is free to use a pack of 800 emoticons, emoji, and smiley faces. They are cute to express your feeling smart in mail, messenger etc. They are just like facebook emoji. 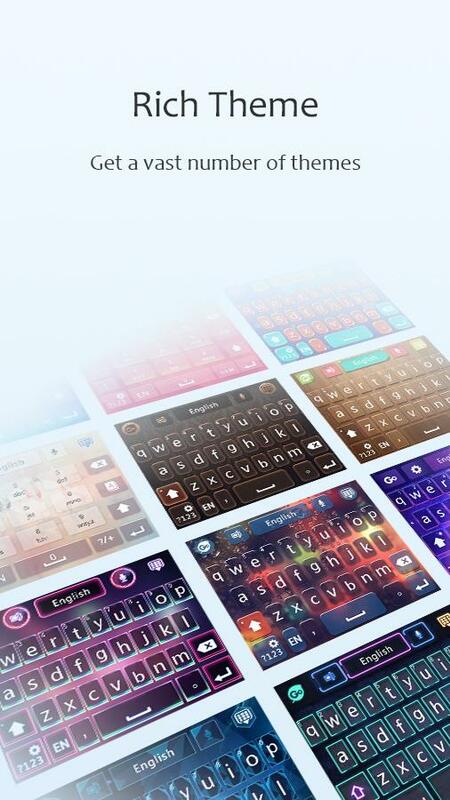 There are 10000+ colorful themes compatible with GO Keyboard and new free themes are delivered weekly! You could also set keyboard background wallpaper free. Want to access emoji, voice input in one click? Our toolbar provides shortcut entries for your typing habit. Also long press and set anytime. 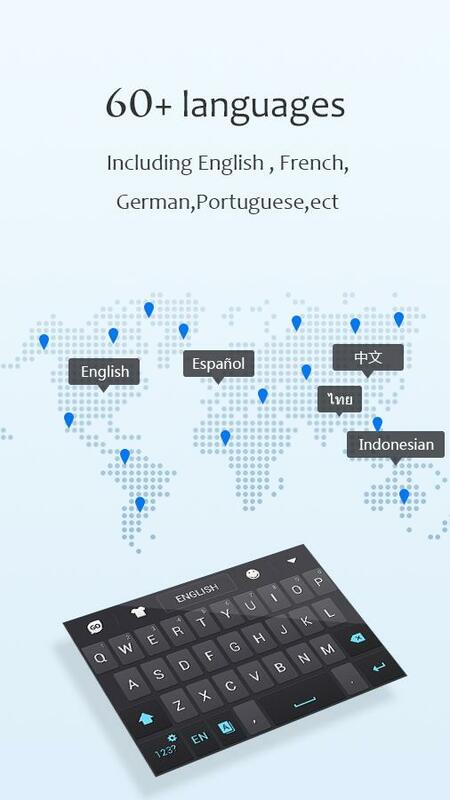 It provides various layouts such as QWERTY keyboard, QWERTZ and AZERTY keyboard for input mode and pad tablet. 1. How to enable GO Keyboard? Step 2: You can select themes, set qwerty keyboard layout, type emoticons, and ….